I worked for a major telco provider for almost 12 years and helped launch, market and manage over 25 products during that period besides also developing my own service based company and a Voice over IP (technology) company is recent years. Now that I am on the other side of the fence with focus on market technology products to success, I thought I would share some best practices with you on product launch and success essentials. In that process, I engaged a young “wanting to be entrepreneur” Mohammad Jamshed Khan who helped me research and create the following summary of findings to help coach and mentor aspiring product developers. If you are thinking of launching a product in an existing company – stop focusing on any other product offers (you might have in market) for about a week before you pre-launch your product. Make sure that once you are launching the product you do not change your focus to another product, and remain focused on the product you are currently launching. In simple words, there are three stages of product success. Stage 1 is to conceptualize or design the product, Stage 2 is actual development or launch of product and Stage 3 is the commercialization of any product or service or end to end marketing and sales so as to create awareness, interest, lead and eventually sale to the right target client. 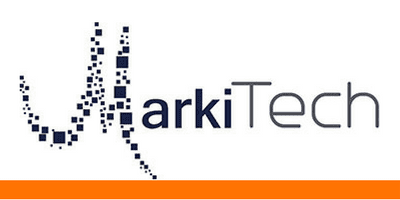 Almost 95% of people and products I have seen in last 6 months of research do not see much value in the Stage 3 or just want to focus on sales aspect of it – that is exactly where we can help you with at MarkiTech. Our startup has laser focus on stage 3 as we specialize in commercializing technology products or service. Build a list: This is an essential element if you want to grow. You need to build a list of your prospects and your clients. You may not have a huge list in the beginning, however you need to make sure that you start building a list and grow it with time. One of the best ways to build a list is through a product launch. Build a good relationship with your list: Once you have your list, it is very important to have a good relationship with the people on that list. The best list will be the list you got when you launched a product. Try making them your fans. If you are able to, these people will keep purchasing your products, and will also tell others about your products and hence provide good marketing for you. Give a great offer: When you are about to launch your product, make sure you hear what the people are telling you. Try to understand what exactly are these people are looking for. Try figuring out the problems that they are going through and come up with a solution they really want. That solution will be an offer they can’t reject. Earn their respect: Make them think that you are the expert of the field. Give them the impression that you are on the top of it and you understand it better than any other. This will give you a good leverage and they will trust you and won’t hesitate in purchasing your products. Don’t hesitate to fail in some parts of your launch: There is no need to hesitate in doing a product launch thinking you might screw up. Get the basics right and go ahead with the launch. If you get some stuff wrong, you can learn from that mistake, and fix it. It is also advisable to do multiple launches to keep your momentum growing. An already running business: If you already have a business running, but want more customers/sales, it would be a smart idea to either re-launch your current offer so that more people get to see it and you can increase your list. You might also want to try giving a bundle offer, or come up with new pricing of your product. If you prefer, you can come up with a whole new product. If you choose to do so, make sure you test that product before officially launching it by listening to what people from the list are asking for, and then launching it to your close list, and seeing how it went before doing an actual big launch of the product. A business that requires you to provide 1 to 1 services: If you are a basketball coach, for example, and you want to make more money, you will need to coach more and more people. However for businesses like these, time is of the essence. Your first goal would be to get known, and start building a list of followers. After that you can launch a product to that list and see how successful it was. If it turned out to be successful you can do a big launch of that product and excel. Want to start a new business: If you are a person who really wants to start their business, then you need to start now! Start building a list, and try understanding the needs of those people. Soon you should launch a product that they really want, and if successful do a bigger launch of that product and keep adding to your list. For internal launches, one success factor I’ve found is that it’s absolutely imperative to only focus on one offer at a time, during the launch window. Breaking the train of thought, the attention focus, the sales momentum during a given 2- or 3-week internal launch window, by offering other products/aff stuff, “defocuses” your lists’ train of thought and kills sales. + downsell multi-email sequence (sent to non-buyers). Nowhere in that chain of emails would I ever send “hey by the way I’m also selling product B, it’s great, buy it now” since that would totally derail the sales process and defocus the buying/value of content/reasons why to buy now, train of thought I’ve established. You can do a launch where you are just an affiliate for other people’s launches. Instead of having your own products, you just launch other people’s products. This works especially well with products that have been in the market since a while. Even a re-launch of your product can get you a lot of profit, without having to come up with anything new. You get to sell more products and increase your list by launching the same product again. Hence we can see that product launches are very important, and one of the keys to business success. Whether you choose to do a launch with your own product, or are relying on launching other people’s products and being their affiliate, product launches that are done properly can have a huge impact. Stop focusing on any other offers about a week before your prelaunch of your product. At MarkiTech, we can help you increase your web traffic and inbound leads with focus on digital marketing, using marketing automation to convert leads into to sales, retaining and growing the customer base through our trademark ® MarkiTech CERP (Client Engagement and Retention Process). In summary, we help commercialize your technology product or service such that we save you time and maximize your return on investment (ROI). We can do this as we are the product and marketing experts with over 50 years of partner experience developing, launching and managing over 30 technology products and services in 7 different verticals and 3 start-ups. We, at MarkiTech, know the key success factors of product success better that anyone with focus on marketing. You cannot afford not spending money on marketing. You can start with “limited time” free consultation offer with no obligation by clicking on link below or go to our website (www.markitech.ca), email to info@markitech.ca or call toll free @ 1-844 – 4MARKIT. Very insightful & helpful! Interesting read. Very interesting! Looking forward to read more on what you guys have to offer! We really appreciate your comments Katriona – much appreciated. Please share with your network and maybe someone else can also benefit from this research and our free consult offer as well. A must-read article for companies and individuals planning on launching a new product.Thought-provoking insights from sales and marketing perspective. Looking forward to read more interesting articles on related topics. Thanks Farzia for your comments – much appreciated. Please share with your network and maybe someone else can also benefit from this research and our free consult offer as well.